I feel like the Rebel Transport X-Wing pilots don't get a lot of love. I really think they add character, even though there are already plenty of named X-Wing pilots. I played against what I call "Robo-Biggs" (Biggs+R2-F2+Stealth Device) at a recent tournament and was inspired to give him another try, although in this list he's not fully kitted out. In this list, Hobbie uses R2-D6 and Push The Limit for a free action. But, you have to pay careful attention to the wording on Push The Limit: you only gain the Stress token after you perform the second action, so Hobbie will burn off the token when he uses the Target Lock, not when he acquires it. Be sure to line up something to shoot, or you'll be stuck with a Stress token and not get an action! That's where Biggs comes in: Hobbie can put himself in a dangerous spot, because your opponents will be forces to shoot at Biggs. Then Hobbie will get TL+Focus and remove his Stress, which should make his attacks count. 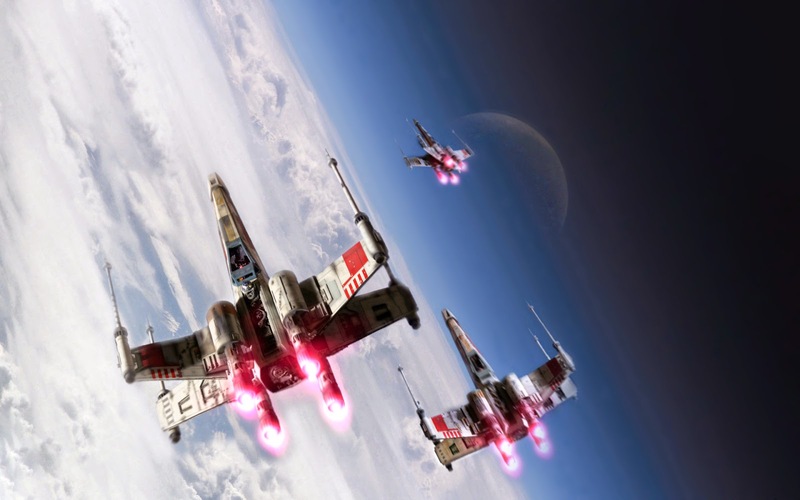 The two Rookies run interference and provide bulk; 4 X-Wings are a lot to handle at 100 points.